A convenient and quality dry cleaning service is available to you at Gatton Plazza News. Our extended trading hours make it easy for you to find a convenient time to drop off and pick up your dry cleaning. 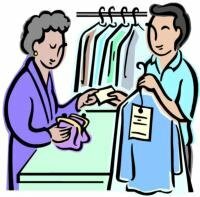 Garments are picked up by the dry cleaning service each Thursday and returned on the following Tuesday.